Anyone that has participated in sports, either amateur or professional, can tell you that while they love the game, they don’t like the injuries that come along with it. It can be very frustrating when an injured muscle or pulled tendon that keeps you off the court or the field for an extended period of time. At Spine and Joint Solutions, our sports medicine expertise can help you heal faster, as well as better, letting you get back to the game you love. 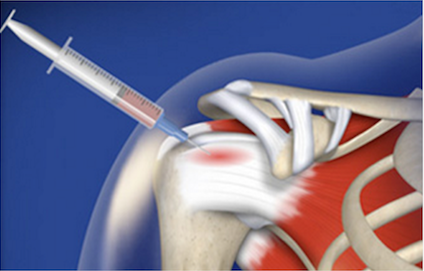 One effective method that we employ is platelet rich plasma (PRP) therapy. PRP therapy has been around for some time and essentially uses the body’s own resources – in this case the blood – to heal itself. The platelets found in your blood are separated in a centrifuge after a blood draw is taken, and since the platelets have a higher concentration of growth factors, they can help a muscle or tendon heal faster when injected into the proper spot. Platelet rich therapy has proven effective in treating those with Achilles tendon injuries, as well as those suffering from lateral epicondylitis, or tennis elbow. Muscle injuries, whether major or minor, can be discouraging, especially when they keep you from playing the sports you love. At Spine and Joint Solutions, we want to help your body heal and we’ve found that PRP therapy is a powerful remedy to injury. Since it’s your own blood that’s used, there’s very little risk of reaction, and if the PRP treatments are paired with a physical therapy program, you’ll be back on the field in no time.